The pioneering range of water purifiers from global brands with superior craftsmanship and modern technology powered by UV + RO technology. 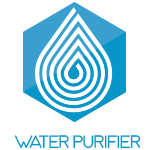 RO Water Purifiers is the most widely used water purifiers in the United Arab Emirates. The Reverse Osmosis technology can remove dissolved salts, bacteria and other impurities from the water, making it safe to drink. The filters used in RO technology can safely trap harmful chemicals and microbes. The UF Purification is another technology which removes impurities from teh water, making it safe for drinking. It uses some sort of hydrostatic pressure to run the water against the membrane filters to filter out the bacteria and impurities. Modern water purifiers use UF purification combined with RO technology. In UV Purification, a UV light is used to kill germs and bacteria. In this method, up to 99.99% of living organisms like bacteria can be destroyed. If you walk into any water purifier shops the Dubai, Abu Dhabi, Sharjah or other regions of the UAE, you will find a range of UV water purifiers. Do you need RO Water Purifiers in the UAE? Only less than 1% of the world’s water resources and human consumable. Access to healthy drinking water is essential for sustaining human life in a healthy way. It is unfortunate that a major portion of the world’s population is forced to drink contaminated and polluted water. Most part of the UAE lies in the coastal lines of the Persian Gulf. Even though the country is in a coastal area and has ocean water all over, there are no freshwater rivers and perennial streams where large volume of clean water can be sourced from, which poses a big challenge to the government in ensuring continuous availability of safe and pure drinking water. Even though a major part of the UAE is covered by desserts and non-living areas, the government ensures a safe & healthy living environment for the residents. The drinking water supply in the Emirates like Dubai, Sharjah, Abu Dhabi, Ajman and other regions of UAE are pretty clean and safe to drink. In the UAE, the total annual renewable water resources are about 150 million m³. Most of the groundwater sources are in the upper clastic and lower carbonate located in the Bajada region in the eastern part of UAE. Some of the major water resources - Dammam and Umm er Radhuma aquifers - contain highly saline water, which is not human consumable without proper filtration and purification. In order to ensure healthy drinking water for the residents of the UAE, the government installed the first desalination plant in 1976. Many other enhanced water purification and filtration plants were installed later due to increasing demand for domestic as well as industrial water demand, especially in the regions of Dubai and Abu Dhabi. Even though the municipal water supply in the UAE is safe for drinking, there are chances of contamination at various levels including the local pipe connections, local storages etc. This makes it very important to install your own residential RO water purifier to ensure clean and healthy drinking water for your family. Whether you are in Dubai, Abu Dhabi, Sharjah, Ajman or any other Emirates of the UAE, it is strongly recommended to install your own water purifier. In the UAE, you can buy water purifiers that use one or more of the above purification technologies. Some of the modern water purifiers use a combination of all the 3 technologies (RO + UV + UF), which makes them the best available water purifiers. Irrespective of the technology used, the goal of every water purifier is the same - ensure safe drinking water. Whether you live in Dubai or Abu Dhabi or Sharjah - everyone needs safe drinking water for a healthy life. Browse the list of popular water purifier brands available in the UAE. Pure and safe drinking water is becoming a scarce resource these owing to growing population, industrial development and environmental degradation. All thanks to water purifiers. A water purifier removes the undesirable chemicals, biological contaminants and other solids and gases. They draw in the raw contaminated water, filter out the impurities ranging from sediments to microorganisms using various methods and dispense clean water. Don’t like the idea of drinking from plastic bottles? Don’t worry. We offer different types of Water Purifiers in UAE that makes water potable and healthy for human consumption and utilization in various places. Depending on the type of filters and the type of filtering done by the water purifier, they have employed in different areas such as homes; kitchens; aquariums; industries; hospitals and commercial areas etc. Know your need and water quality and check out the different water purifiers in UAE.